I had coffee recently with a fellow marketer I hadn’t seen in nearly a decade. It was great to catch up with him, and to talk about his career and his ambitions for a business he’s building that could use my help. As is typical with me, the conversation turned to social media – Twitter in particular – and how I’m using it for business. The conversation went on for about an hour. And while I’m not certain he left convinced, I’m sure he was intrigued by what he’d learned. The truth is that I have this conversation with most people I encounter who don’t really use Twitter and other social networking tools. And oddly the part they have the hardest time with is what I consider to be the key to good social networking: the authenticity. The conversations about current events, our kids, our frustrations – and bacon – help build real relationships and ultimately trust. Is some of this about business for me? Absolutely. 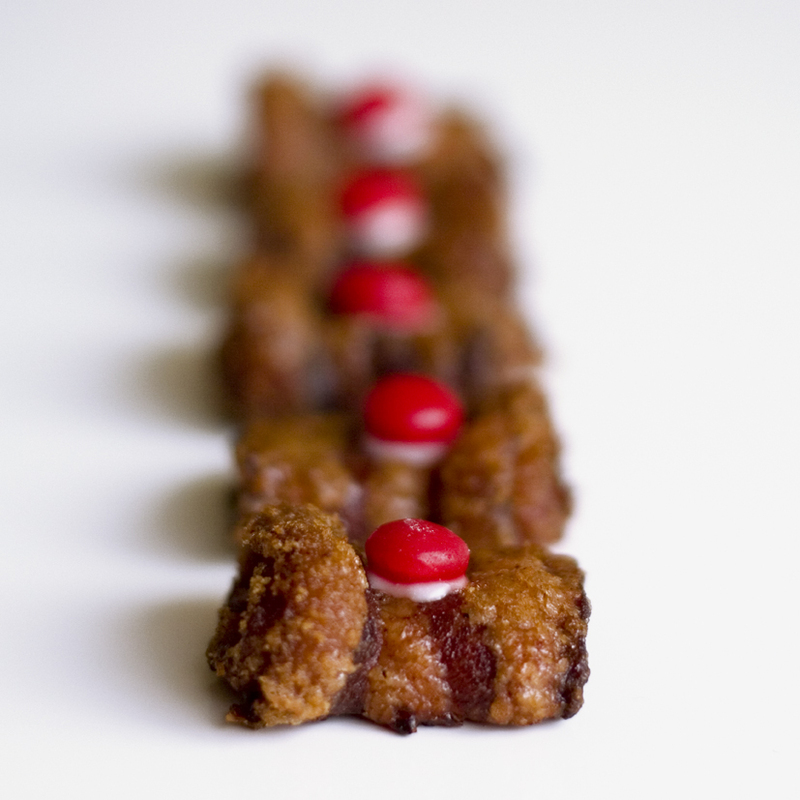 What does bacon have to do with public relations and social media marketing? Nothing and everything. In business (just like in daily life) it’s important to have a little bit of fun with the people you work with. The connections we make as individuals are the ones that make business relationships truly work. And as far as the food is concerned, people have bonded over it since the beginning of time. And online, we bond over our love for bacon. Looking at it a different way, I know very few people who like to work with individuals, companies or brands that put up an unapproachable façade. Specifically as it relates to brands: aren’t the most revered ones those that are approachable and open? Think of Southwest, Zappos, Starbucks – all of them approachable in their own way, and actively engaging using a variety of social media strategies. They don’t just broadcast advertising messages. They actively participate in their communities, are helpful, interesting, funny. And their brands have an authentic face. I’m looking forward to the day when more brands take the “risk” (their words, not mine) and dive into using social media as a true relationship-building tool. A day when the “marketers” who are advising foolish “broadcast-only” social media strategies move on to the next shiny object or are no longer called upon to direct this sort of thing because they are only doing their clients a disservice. I’m looking forward to the day when more brands are comfortable just talking about…bacon. I love this post. We met through Twitter and from getting to know you through Twitter (and our IRL lunch), I know you are someone I want to do business with. I cannot wait for the right opportunity to present itself. Bacon is REALLY authentic, too. You cannot get more authentic than sizzling pork fat, right? I had a similar conversation a few weeks back with a business associate – who reminded me that he and I also met on Twitter. But we spent the better part of a year interacting, finding common ground, disagreeing from time to time. Keep at it…now, explain why I’m hungry? I was with clients last week and one of them told the story that she has friends who are married and who met online. They got all the way to the wedding DAY before they actually met. And they’ve been married for almost 10 years. So people, who don’t use the social tools, think you can’t get to know someone online, but the fact is, you almost get to know them better because you “talk” to some of them multiple times a day. P.S. I’m a vegetarian, but I love the use of bacon! Excuse me. Uhmmm, did someone say bacon?! I was feeling a bit peckish and thought I’d grab some bacon. …so can I ask where the bacon is?? Oh, you are just talking about bacon. Hmmm. Darn. Well ok, yes I totally agree with bacon and social media. Great analogy. If you’ll excuse me I think I just heard someone else say bacon…. Qué buen artículo! Lo compartiré con la gente de mi compañía. Gracias Guanaca! Great article – it just reminded me of a news item I saw yesterday re: my other favorite hobby, baseball. Apparently, fans are upset at MLB.com’s new policy that prevents their employees and writers from using Twitter for any non-baseball related communication. From a corporate perspective, I can understand the old school facts: you’re an employee, you’re working for MLB, and if you’re on the clock, as it were, they are fully within their rights to issue such a policy. OTOH, it comes across to many fans as a heavy-handed attempt to muzzle and stifle the ability to build relationships via social media. I challenge those who ask me how to use Twitter for business to not even think about business when starting out. Build the relationships first, gain the trust and, yes, make friends. This hard to do for many, especially larger companies who still don’t quite get it or don’t have the patience to build their communities. Great post. I am hungry and now know what I’m going to eat. Jennifer, Nice post. Love bacon and how you’ve tied it back to social media. Really it’s about the things that we have in common, what unites us being greater than what divides us, making it easier to connect to others, make friends. Twitter being such an open platform is a good example, and you’ve got me rethinking my “I won’t tweet about lunch” stance. And FWIW I consider Gini Dietrich one of my Twitter BFFs, didn’t know she was a vegetarian (hey, Gini). See power of social media, real connections. We must have a Sticky Pig tasting party! How does this at all have anything to do with the price of butter in England?